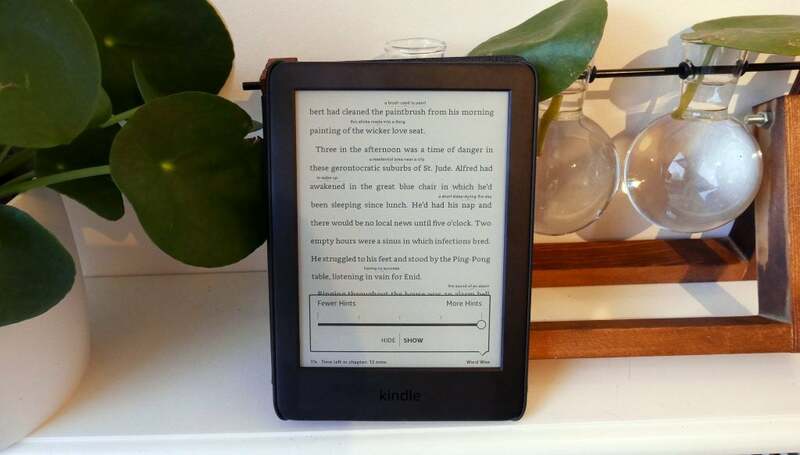 What is the Amazon Kindle (2019)? 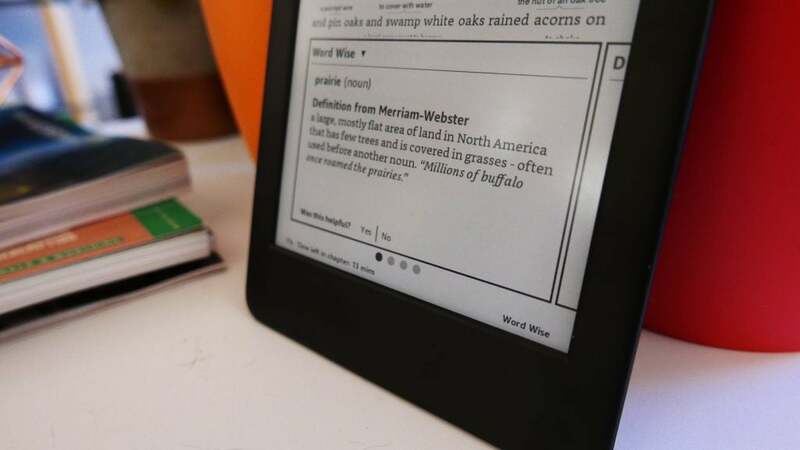 Amazon’s latest Kindle, now in its 10th generation, is the new entry-level model in the range. It will appeal if you don’t need all the bells and whistles of Amazon’s more expensive models. With that said, it costs £10 more than the 2016 model at launch, but for the money you’re getting a new front light. 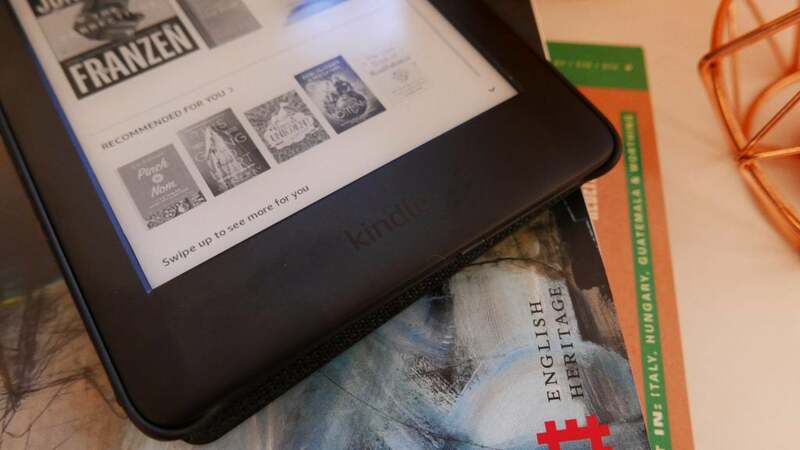 The absence of lighting was our chief complaint of the previous Amazon Kindle, and its inclusion now means you can read e-books whenever, and wherever, you want. It’s worth noting that the older Kindle is still on sale, and it’s dropped in price by £10. That means you’re essentially paying £20 more for the added benefit of the front light. If you’re an avid reader looking to binge their way through the latest page-turner, you’ll likely find the added expense worthwhile. 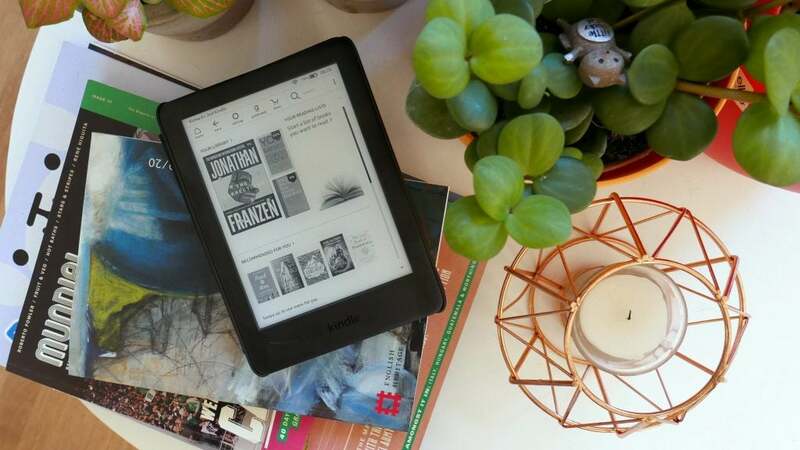 While its specifications might not have been bumped up elsewhere (it still has the lowest resolution display of all the Kindle e-readers), its convenient form factor, strong library and new front light make it a great choice for anyone looking to move to e-books. Amazon hasn’t made any big changes to the new Kindle’s design. In fact, it was only after a glance at the official measurements did some differences become apparent. It’s actually gotten smaller, losing 2mm in width (down to 113mm) and a barely noticeable 0.4mm off its thickness (down to 8.7mm). It means the Kindle is even more pocket-friendly – although, admittedly, we’re talking about a back or coat pocket here. For someone like me, even that slight reduction in size makes a big difference. It means I can now quickly whip it out from my jacket to get in a few pages of reading while waiting for a train; I’d be far less inclined to bother if it were in my bag. But while the Kindle has lost some size, the addition of the front light has added some weight. At 174g (up from 161g), it’s still far from heavy; in fact, it’s still comfortably lighter than the Kindle Paperwhite (191g) and Kindle Oasis (194g). 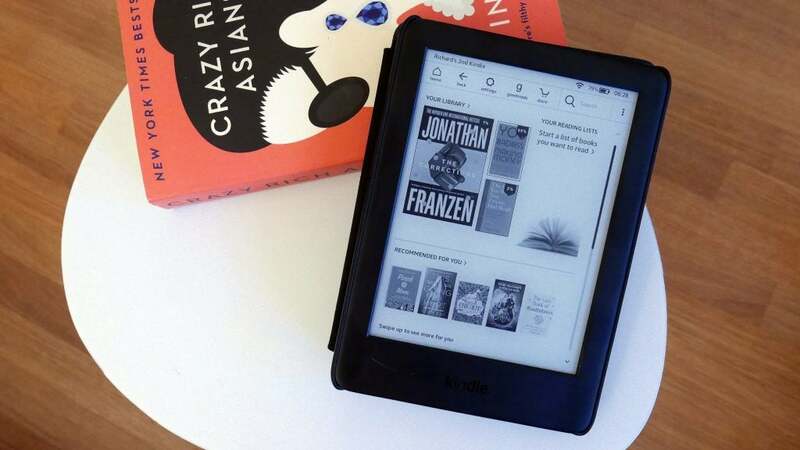 Unlike the pricier Paperwhite, the 2019 Kindle is available in a choice of either black or white finishes. I prefer the black of the review model, since it is likely to appear less grubby over time. The Kindle feels nice in your hand, with the weight evenly distributed – a trait that’s more important than you might initially think. I’ve still got an original Kindle (one that included a physical keyboard), ironically gathering dust on my bookshelf. That model now feels far more tiring and awkward to hold for longer reading sessions. The premium Kindle Oasis remains the only Kindle with physical page-turning buttons, so here you’ll need to tap the screen to move between pages. It’s a little less tactile than having buttons, but it does the job well enough. There’s only a single button on this Kindle, to wake up the device, and it sits on the bottom alongside a micro-USB charging port. I hope Amazon eventually moves its Kindles over to USB-C for convenience, although it isn’t a big deal. One of the major differences between the Kindle and Kindle Paperwhite is the latter’s IPX8 water-resistance rating. If you plan on reading in the bath or swimming pool then how clumsy you are might factor when deciding which model is right for you. With that said, there are the same inherent risks with dropping a traditional book in water, so if that’s never been an issue it might not be one now. Perhaps Amazon read our review of the 2016 model, where we stated that the Amazon branding on the rear of the device was obnoxious and pointless – it’s been toned down for this model. It will be less significant still if you opt to pair your Kindle with one of the official Fabric Covers (£24.99) that protects the device front and back. It automatically wakes and suspends your Kindle when opening and closing the cover (like a book!). The case seems a tad pricey, however. The big change is the addition of a front light to illuminate the E Ink screen. This will enable you to read in low light, or even in the pitch-black. That’s great news if you like to stay up reading but your partner wants to get to bed, because you won’t need to leave a bedside lamp on in order to see the screen. There are 24 levels of brightness adjustment. The illumination isn’t quite as good as it is on the Kindle Paperwhite, owing to the inclusion of four LEDs as opposed to the five on the Paperwhite. Nevertheless, you get 24 levels of incremental brightness adjustment, so you can get it just the way you like it. You’ll rarely need to have the display dialled all the way up – and it might not be when you expect. The brighter settings are actually better used outdoors, on the beach for example, where extremely bright conditions can make the screen look washed-out. Indoors, at night, I didn’t feel the need to use the Kindle at any more than its third-dimmest setting. My one complaint about the front light is that it’s a bit bluer than I’d like. I’d have preferred a warmer tone, especially for reading at night. One of the chief advantages of reading on an e-reader over a phone or tablet is that you have less circadian rhythm-interrupting blue light shining into your eyes, so I worry slightly that the front light will have a negative impact. A warmer tone is slightly less harsh on your eyes. 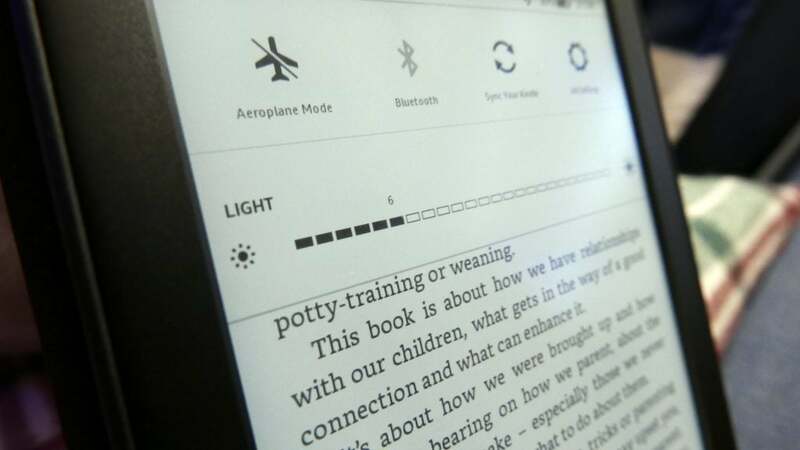 Beyond the front light, nothing has changed between Kindle models. The 6-inch, anti-glare E Ink display continues to offer a pixel density of 167 pixels-per-inch. That doesn’t compare as favourably to the more expensive models, which all have 300ppi displays. The front light means you never have to stop reading. Truth be told, it isn’t something you’ll really notice unless you go looking for it. Press the display close to your eyes and you’ll see that the font is slightly more jagged – but this isn’t noticeable at a reasonable distance. Compare the different models side-by-side, and you’ll notice, however. As mentioned, the Kindle has a touchscreen that you tap to change pages. You can also use it to navigate the menus, perusing the Kindle Store and entering text using an on-screen keyboard. It all works well enough and relatively quickly for an E Ink display. Amazon rates the battery life as around four weeks if used for 30 minutes a day, with wireless turned off and the front light set to 13 – which is pretty specific. In truth, I’ve not had a review device long enough to put that to the test. But this being an e-reader, you can expect the battery life to last into the weeks rather than days. That’s a major advantage of E Ink over tablets and smartphones. From a full charge, having put in an approximate three hours of total reading time with varying low levels of front-light use, I saw the battery drop by 15 percent. You top up the battery over micro USB; the cable is included. However, you don’t get a USB wall adapter in the box, so you’ll have to use your own – or plug it into a computer to charge. Charging the device to full takes about four hours – no fast-charging to speak of here. Part of buying an Amazon Kindle is buying into Amazon’s e-book library. If you’re an Amazon Prime subscriber then there’s even more incentive to opt for a Kindle device. As part of your Prime membership, you get access to Prime Reading, a sizeable catalogue of free books you can “borrow”. Similar to an actual library, you simply “check out” titles and read them at your leisure. For a wider selection, there’s Kindle Unlimited, which, at a monthly subscription cost similar to Netflix, gives you an even greater choice of books. You can also load up your Kindle with audiobooks from Audible. You’ll have to pair a speaker or set of headphones with the device over Bluetooth, since there’s no built-in speaker but it’s a great option. Books can be purchased directly from the Kindle Store. Of course, you have the option to just purchase books from the Kindle Store. More often than not, you’ll find that they’re cheaper than those on rival e-book platforms, with a huge range available from bestsellers to independently published titles. Discovering new titles on the Kindle itself is easy and the new homescreen does a super job of both letting you navigate your own library and also making recommendations. You can load your own e-books and PDFs onto your Kindle over USB, or by emailing them to your dedicated Amazon Kindle email address. All in all, it’s unlikely that you’ll suffer a shortage of items to read or listen to. There are other features, too, that add to the overall reading experience. I appreciate being able to see the number of minutes left to complete a chapter, or the book overall, for example. You can also look up words in a dictionary by tapping on them – or turn on Word Wise, which provides definitions of less familiar words automatically. You can get definitions easily. One thing worth mentioning that could be an issue: I couldn’t find an accessibility option to invert the colours (white font on a black background), which is a useful option found on the Paperwhite and Oasis. I know a lot of dyslexic readers find it much easier to read this way, whilst some folk just prefer this option. 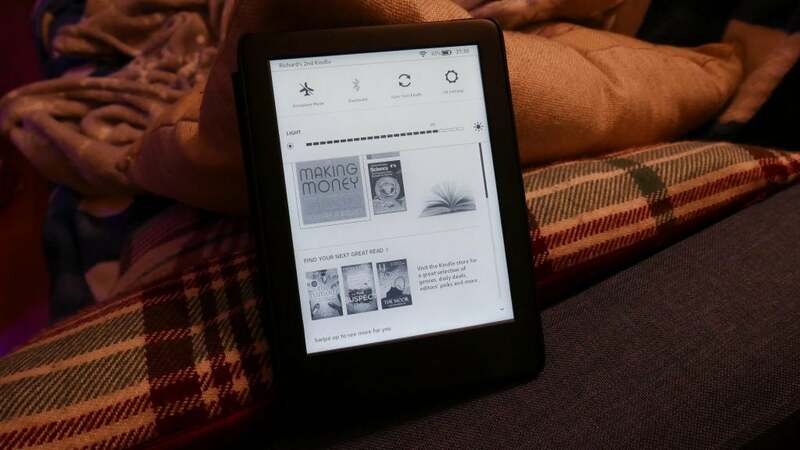 This being the budget Kindle, there’s only a Wi-Fi-connected model available; there’s no option for 3G/4G connectivity. That’s no great omission for anyone but the most ardent of bookworms who need constant access to more titles. You can adjust how many hints Word Wise gives, which is a handy way to expand your vocabulary. 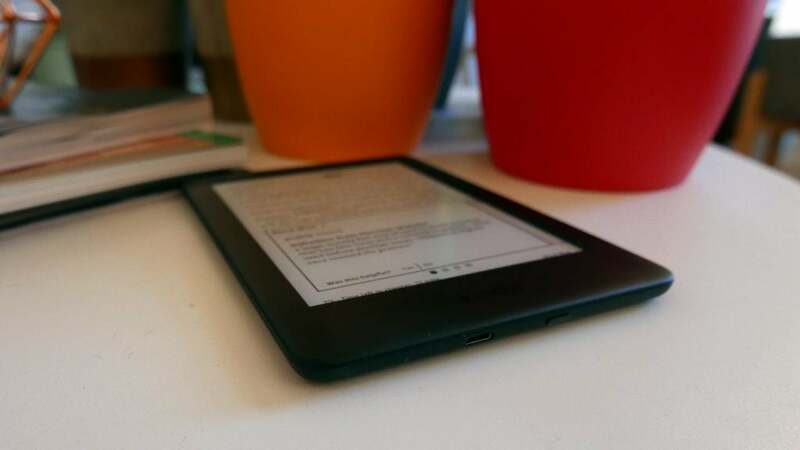 In addition, this Kindle has only 4GB of storage (2.75GB of it is actually available for use), so you won’t be able to store quite as many books as the Kindle Paperwhite (8GB total). You can still store far more titles – thousands, in fact – than you could physically carry, and syncing books to and from the Kindle through the cloud is incredibly simple. As is the case with most Kindles, there is a cheaper model “with Special Offers” available. This is a fancy way of saying you’ll receive adverts served on your lockscreen when the Kindle is not in use. These are typically ads for books or Amazon services; whether or not you want to pay an additional £10 to nix such intrusions is a matter of personal preference. 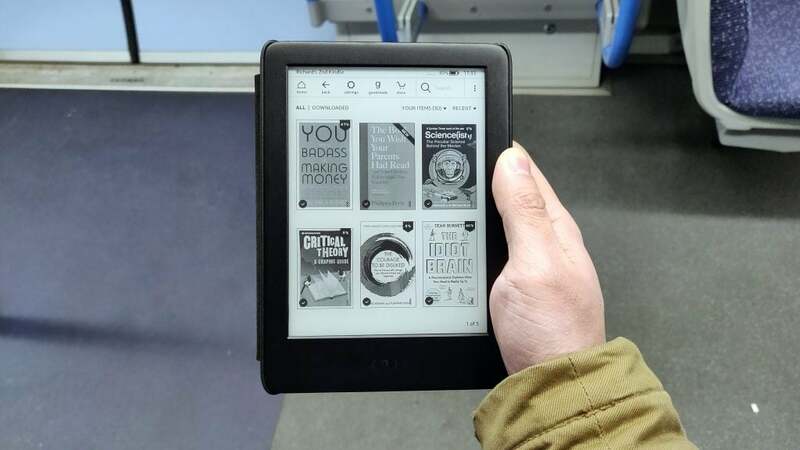 Why buy the Amazon Kindle (2019)? At first, I thought the new Kindle would be a no-brainer recommendation for anyone on a budget thanks to that added front light. But then I realised the 2016 Amazon Kindle is still on sale, and it’s now £10 cheaper, so the decision over which to buy isn’t quite as simple. The above amounts to a £20 difference between the two models for essentially the addition of the front light. I still think the vast majority will be better served spending the extra, but it isn’t as clear-cut as I first assumed. 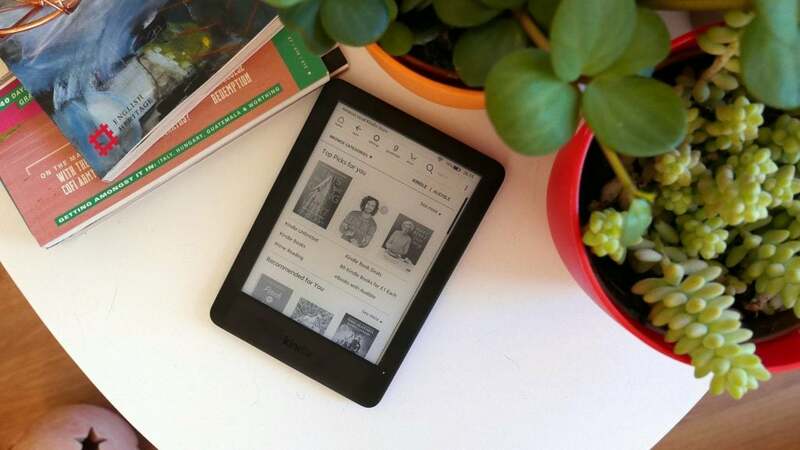 Between the two entry-level Kindle models, however, you won’t find a better e-reader for a similar price. The post Amazon Kindle (2019) appeared first on Trusted Reviews.